Three men arrested following the death of a pensioner in the town centre have been released. 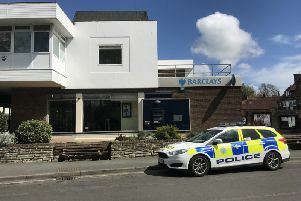 Police said a 77-year-old man was robbed during an altercation close to the toilets near to Marks and Spencer in Crawley town centre on Sunday (July 22). A short while later - just before 3.50pm - he suffered a cardiac arrest whilst travelling in his mobility scooter along The Boulevard. A 36-year-old man from Crawley along with a 25-year-old man and a 41-year-old man, both of no fixed address, were arrested on suspicion of robbery and manslaughter. Police said the 36-year-old has since been released without further action. The other two have been released under investigation while enquiries continue, officers added. Paramedics along with members of the Air Ambulance treated the pensioner at the scene and he was flown to St George’s Hospital in London. Officers said he died later that evening. Detectives are continuing to appeal for witnesses.